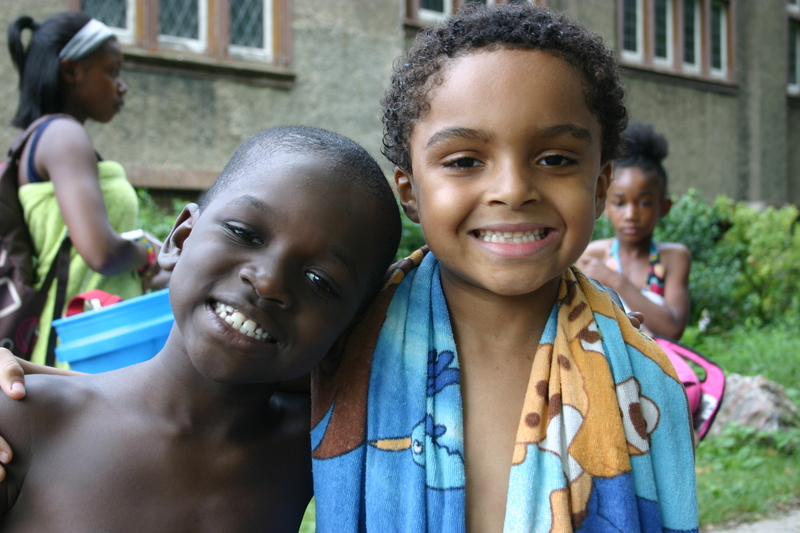 Gregory and Genesis are best friends who both live in the 48214 zip code of Detroit. It’s one of the poorest, most economically devastated zip codes in Detroit, thus in the country. It was here, in their neighborhood, that I meet Gregory and Genesis this past week while they attended our Mack Avenue Community Church/Hope Community Church Day Camp. Gregory has just finished 2nd grade, and thanks to the Mack Avenue’s after school literacy program, Gregory is now reading at grade level. Which means, if Gregory continues to build on this new gift, he’ll not only improve his educational and vocational opportunities, but he’ll be able to make the reading of God’s Word a regular part of his life, both of which will be life transforming for him and his family. At the beginning of the week Genesis shared with his counselor that since he was 4 years old he had been a bad boy and was always getting into trouble. But then he accept Jesus as his Savior and since then he’s changed, doing good things and not bad. His counselor said, over the week, that Genesis became like another counselor in his group. He provided leadership and insightful input during their small group times. With the continued follow-up and discipleship of Mack Avenue Community Church and Hope Community Church, and some more SpringHill Experiences sprinkled in over the years, I can envision a bright future for these young boys, and hope for the 48214 zip code.